=MQ= Art Style for Next "SCMM" - We Call Them SCEM Now! All Forums >> [Artix Entertainment Games] >> [MechQuest] >> MechQuest General Discussion >> =MQ= Art Style for Next "SCMM" - We Call Them SCEM Now! "SCMM" is a nice acronym but since it's no longer a monthly feature, it doesn't fit any more. Then the other thing is, we had this thread where Korin wanted to know what you wanted to see in the next "SCMM" -- and the forums ate it somehow. So, what we want to know is what kind of art style do you want? A militaristic machine? Something more 'humanoid?' You've been telling us about your favorites of the past - what would you like for the relatively near future? I gave this thread the "FAQ" tag so that in theory the forums can't nom it. I want a Tank themed mecha. Militaristic Machine. Militaristic Machine. Militaristic Machine. That's why I like SCMMs, MQ has its silly Mechs, which is fine, but SCMMs really look like they can tear you apart. Mohawk, AutoMorph, Master Blaster...now THOSE are Mechs. They look tough which is important. Alternatively, I'd really like a Mech referencing the Stands of JoJo's Bizarre Adventure. The whole rapidfire punching would make an awesome attack. Well they really have no place in MQ...demons and whatnot. Star Captain Exclusive Mecha preferably imo. Re-art of the original SCMM, Strider! I'm fine calling them SCEM now. It's not much different since some still refer to them as SCM. As for design styles, I'd much rather they keep to the semi-exclusive, almost militaristic design that most of them had. I'm fine with the occasional themed SCM (Mechtron, Viking, or BC) if the Staff is just in the mood for one. 1. A "Transformable" Mech-to-Jet or Mech-to-Helicopter unit that evokes the stealthiness of the F-117 (the angular plating) and plays more tactically (like House MR). By transformable, I mean converting into some sort of hover-jetplane like the Automorph transforms into a hover truck when moving in mech zones. Of course, only if the Staff has the time for such an endeavor. 2. A half-mech/half-tank. Heavy emphasis in the literal "tanking" role. Granted, may not go over too well with those tired of defense and firepower-oriented builds. 3. A new humanoid "Healer" themed mech. Been awhile since we had one. Zeke, you score 20 awesome points in my book for that. I would farm for hours with the themesong in the background, doing the obligitory hand gesture and headbanging. It would make farming exceedingly difficult, but oh so worth it. @above: Humanoid healer mech? Doesn't the Romero's Valkyrie classify as a healer? Star Captain Exclusive Mecha doesn't sound right, because there's several SC exclusive mechs. I think Star Captain Hey-We-Eventually-Ended-This Mech works best, given how long it's taken. SCHWEET Mech for short. My vote is for SCEM. I would like a "Pretender" mech - as in the Transformers idea. 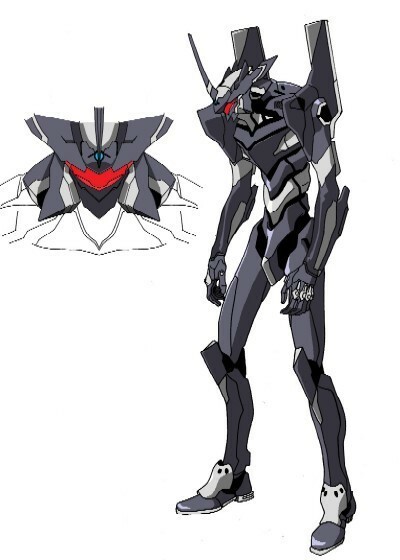 A Mech outer shell that separates and has an inner humanoid shell. Ah yes the Pretenders. As long as they don't do the...organic thing Pretenders had. That was kinda ugly. TransFormers wise, I have an awesome idea for an SCMM but...I do not yet wish to post it. Maybe another Automorph or something like that... I liked the concept behind that mech. I like the sound of SCEM and I really miss seeing Monthly Mechas but time can chew you up and spit you out. Take care. Am I the only one here who likes the acronym SCMM? I mean, lots of mechas are SC-exclusive. The SCMM are a special set of SC-exclusive mecha. As for art style, I would rather they are not based off of anything, they are just mecha. Preferably less humanoid. Pretty much echo what Stealth said. SCMM is just...their name. I can't see them as anything else. And I'd prefer it if they weren't themed, as other Mechs can suit that well. Though I did want a JoJo reference, that moreso has to do with a single attack and not a visual theme. Definitely we need Parasol themed Mecha for hot summer! Like Parasol coverin Sun for Darkness blinding enemy and random Parasol shooting Bazookas!!! Star Captain Mercurial Mecha sounds good to me and I'm too use to typing SCMM now that i can't be bothered to change. I would vote for "Star Captain Mercurial Mecha" (SCMM), but it just doesn't roll off the tongue like "Star Captain Monthly Mecha"... SCEM doesn't really roll of the tongue like (the original) SCMM either, but it's better than the new SCMM. I think "Exclusive" rolls off the tongue better. It sounds more special, no? To be honest, I can't decide on the new title for these mechs. SCEM sounds like a cool title, but when I hear Star Captain exclusive, I think of all star captain mechs in general. Mercurial would allow the mechs to keep their old acronym, but I'm not sure most players know the meaning of the word... I know I don't. As for an idea for the design of the next mech, how about an ancient rock mech. How often do you see a mech made out of rock? Whose to say mechs didn't exist before metal?